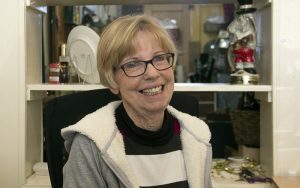 KINGMAN – Surrounded by shelves of antique plates and figurines, Kathy Irish writes an email addressed to President Donald Trump. She wants to remind him to take care of himself and to let the president know she thinks he is doing a good job. “We the people need you and we have your back,” reads the message, written from the store she owns in downtown Kingman. 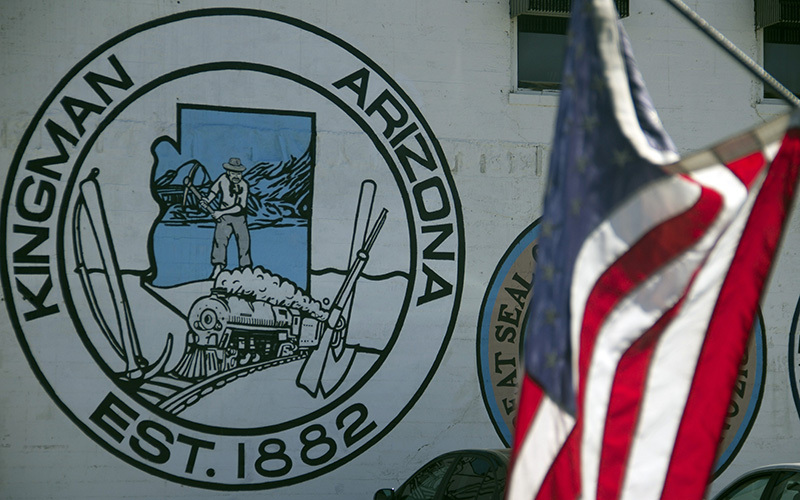 The city of Kingman sits along Route 66 in Mohave County, where Donald Trump won 73.7 percent of the vote, the highest percentage in any Arizona county, according to election results from the Arizona Secretary of State. Turnout, too, spiked for the county in November’s election, with 70.3 percent of registered voters turning in their ballot–compared with 61.6 percent in 2012 and 65.5 in 2008. Trump supporters in Kingman said they voted for the businessman because they hoped he would revitalize the country’s economy. Some said that they think he’s made a few missteps during his first few weeks in office. But they also believe that news coverage of the president has been harsh. For the most part, they agree with his executive orders. Irish is a retired accountant. She opened the antiques shop to keep herself busy. For several decades, she worked in construction accounting, but then “the bottom fell out of the construction industry.” So she moved to manufacturing. For 36-year-old Kyle Moon, Trump is “doing what he said he would.” He said he supports the president’s order temporarily banning refugees and visitors from Somalia, Syria, Sudan, Iraq, Iran, Libya and Yemen. That order was blocked last week by a federal appeals court. Few people are in downtown Kingman on a weekday morning, but its main thoroughfare, Beale Street, sees a burst of activity during lunchtime. Moon has lived in the town of nearly 29,000 people for decades and he’s seen people leave as construction projects dried up. Several years ago, he foreclosed on a home and endured a bankruptcy. The median income in Mohave County is $40,017 while its unemployment rate is 6.16 percent, according to the Mohave County Economic Development Department. Statewide, the median income is $51,492, census data shows, while Arizona’s unemployment rate was 4.8 percent in December of 2016, according to the Bureau of Labor Statistics. But Moon, who works in the beverage industry, thinks the tide is turning in Kingman, with more business owners excited about Trump. The father of two also agrees with the president’s proposed wall on the US-Mexico border. 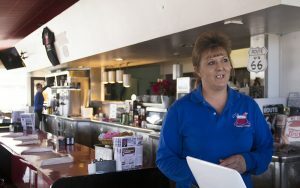 But sitting in the red, white and blue diner she owns along Route 66, Tammy Rutherford, a Trump voter, said she’s not so sure about the president’s plan for a wall. She believes illegal immigration is a problem and worries about drugs coming across the border, but wonders if a wall will be costly and ineffective. But back at the antique store, Irish worries that lawmakers unwilling to work with the president could wear him out. She is a lifelong Republican, but feels especially energized about Trump.